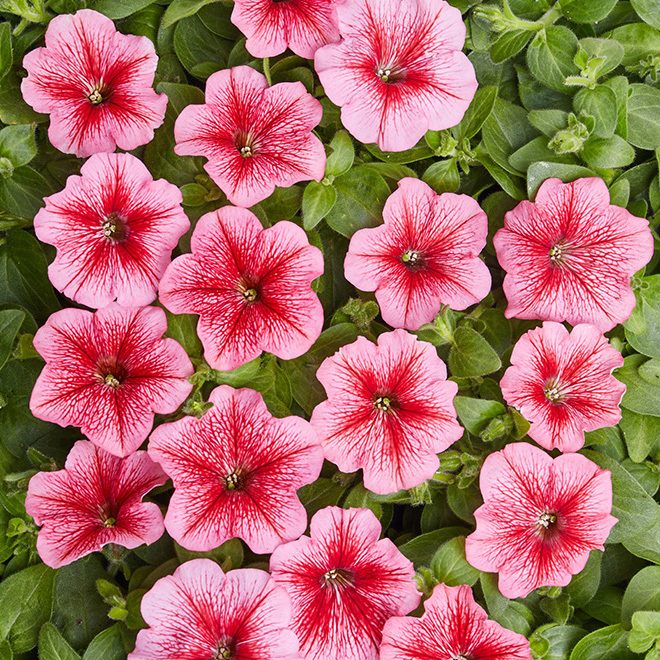 A very early variety. 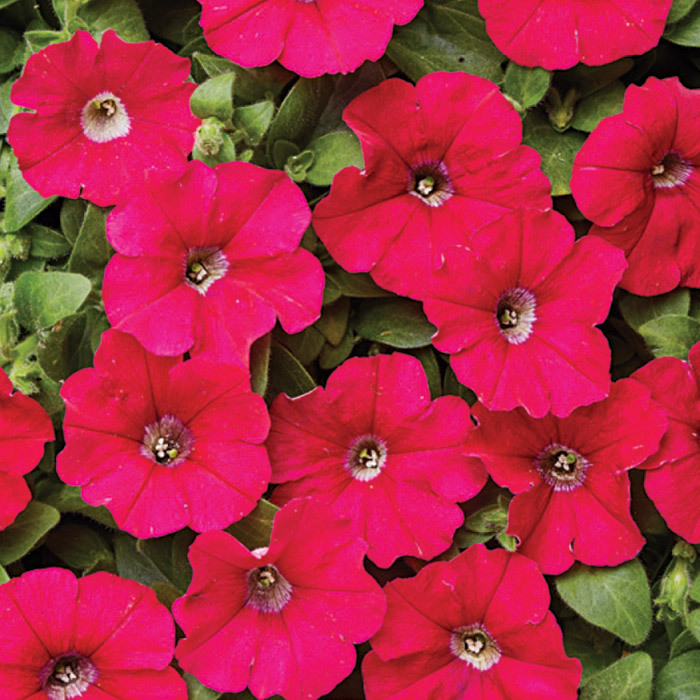 Several flowers always come into bloom at the same time. 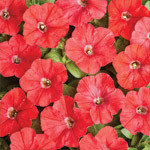 They create a very densely branched compact little bush. 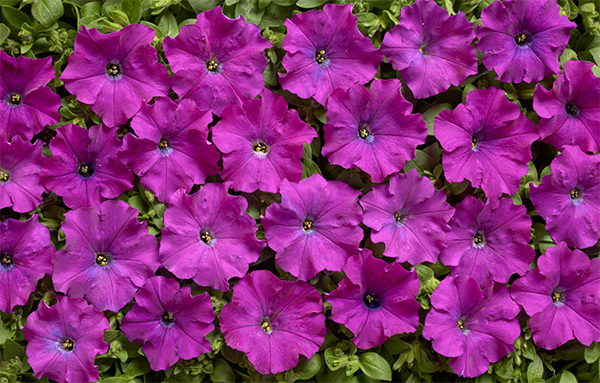 Flower size is 4–5 cm. 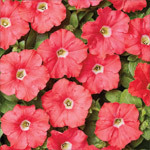 They are intended in particular for planting in containers but also grow well in beds. 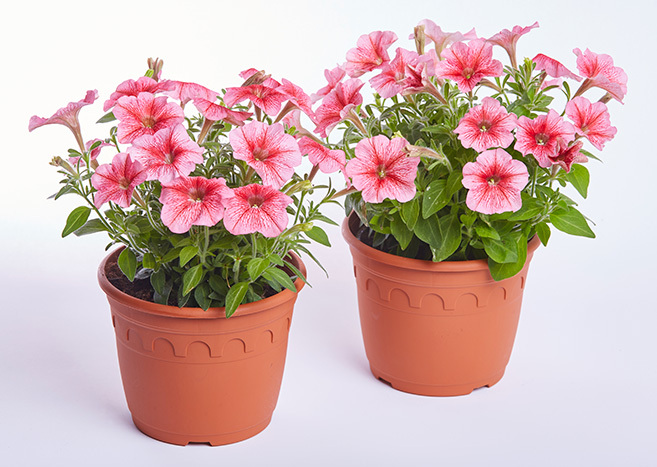 They grow to a height of 20 cm. 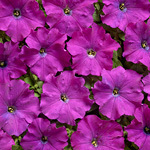 Hybrids are resistant and flower abundantly throughout the whole season. 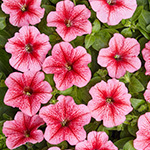 Cultivation is practically the same as with other petunias. 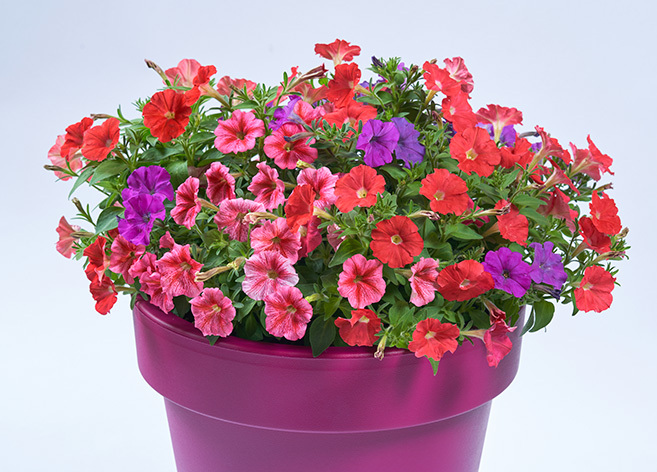 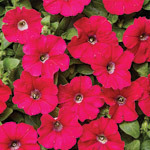 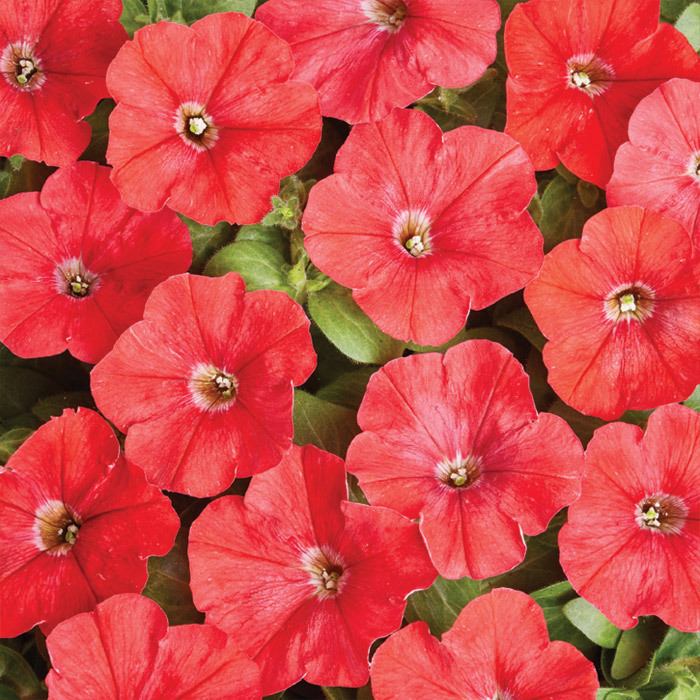 Red flowers with a distinct pattern created by the veins, the latest variety, extends the popular group of dwarf petunias to include a new highly attractive colour combination.